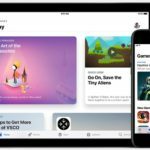 Apple launched Apple TV 4K pre-orders last Friday, the same day iPhone 8, iPhone 8 Plus and Apple Watch Series 3 orders took place, with a launch set for September 22. If you missed out on Apple TV 4K pre-orders, you’re out of luck if you want one on launch day, unless you try local Apple Stores for stock. The 32GB Apple TV 4K model currently ships in 5-7 business days, while the 64GB model is listed at 2-3 weeks. 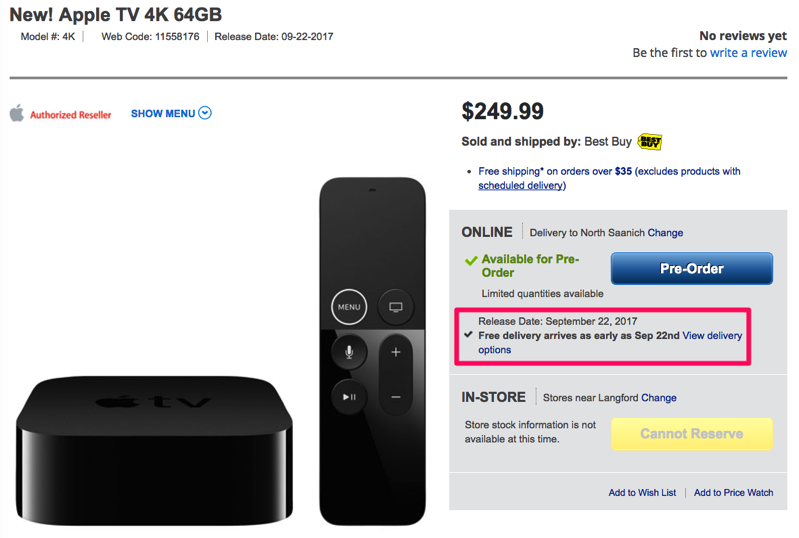 Best Buy Canada, however, has Apple TV 4K available for pre-order, with both 32GB and 64GB configurations available, showing a September 22nd delivery date via Canada Post Expedited. Again, if you must get the 64GB Apple TV 4K on launch day, this is another option, especially if you don’t have an Apple Store in your area. If you don’t need an Apple TV 4K, the company’s refurbished store in Canada has 64GB Apple TV 4th-generation models available for $189. Did you pre-order an Apple TV 4K?